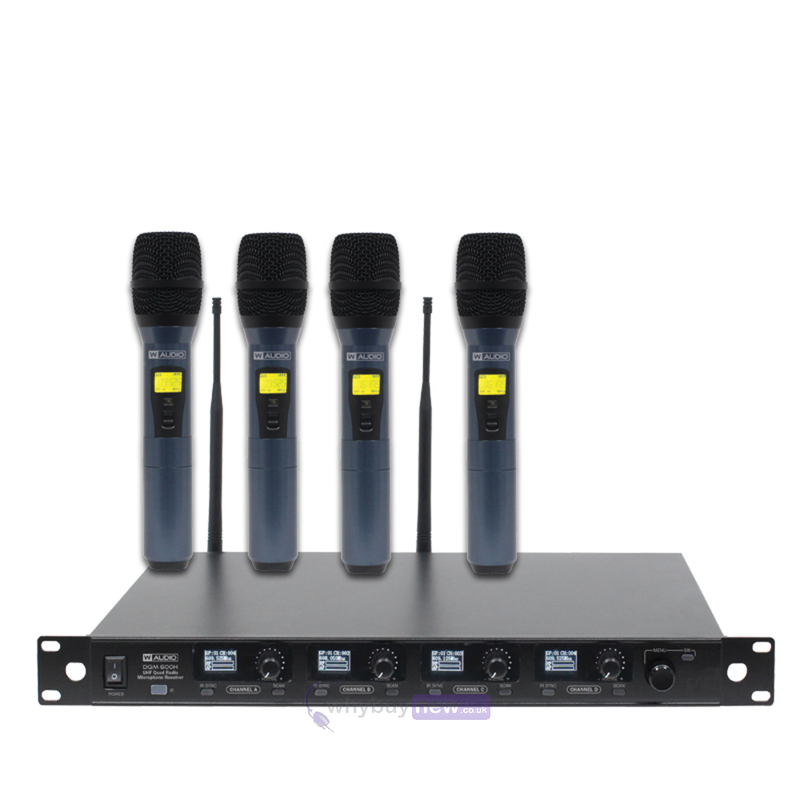 This wireless radio microphone set comes in two different frequencies: 606/614Mhz or 823/865Mhz. Please choose which one you would prefer from the drop down menu. 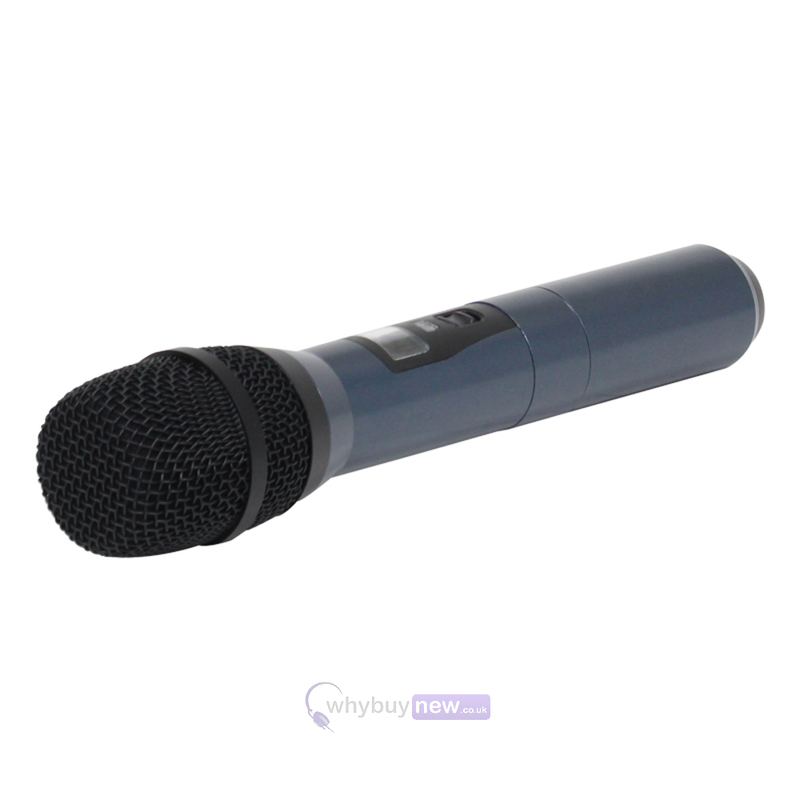 The DQM 600H Quad Handheld UHF Radio Microphone System from W-Audio is the ideal solution for small venues, travelling DJs, wedding speech-givers and karaoke parties. 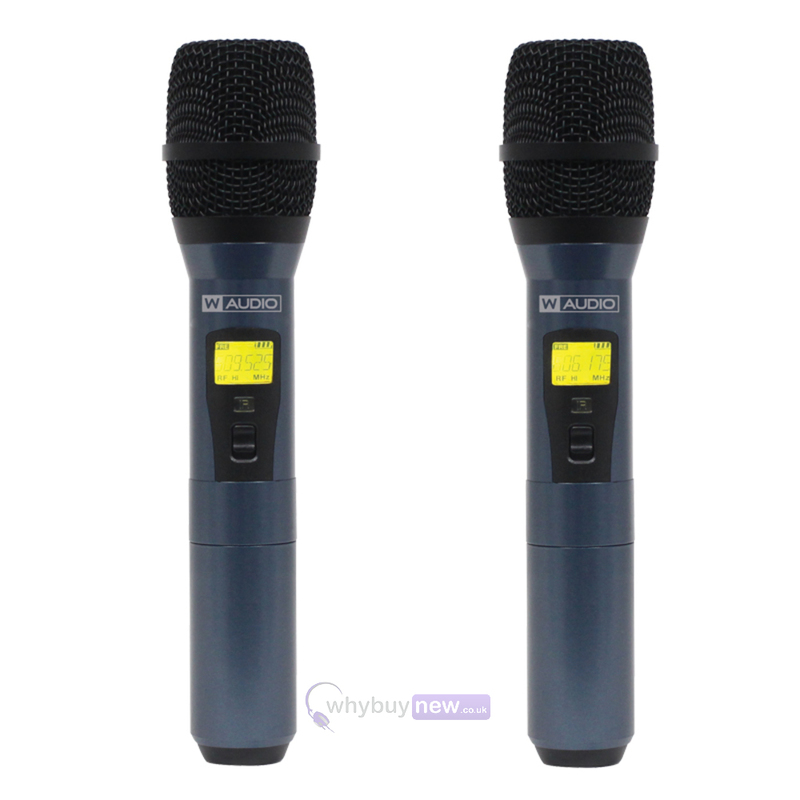 The wireless nature of these microphones offers the user an advantage over the tradition wired style with no cables to trip you up or look untidy, giving you freedom to move as you please. 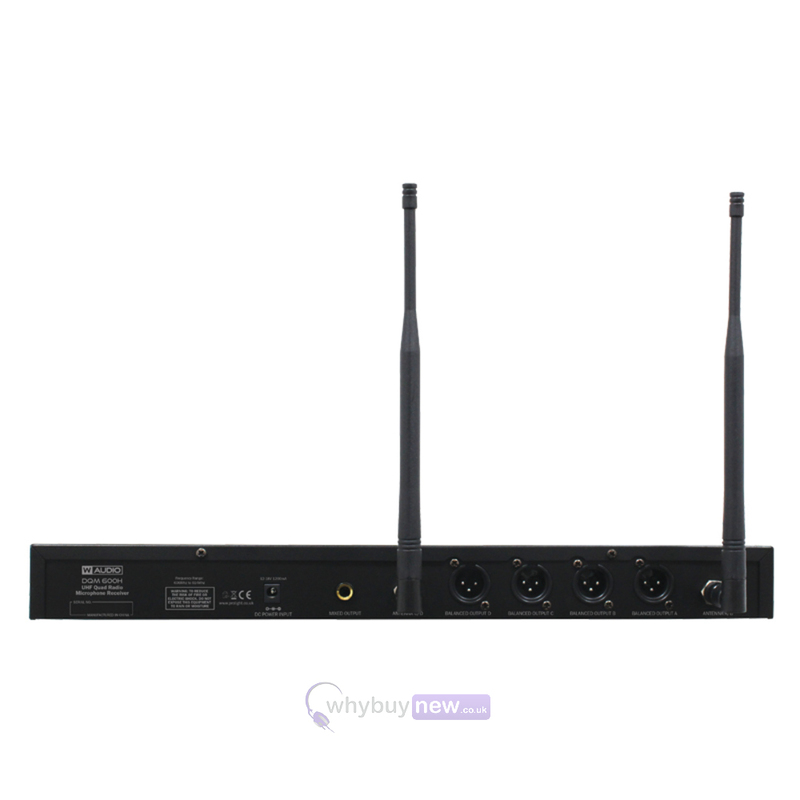 The small and easily transportable receiver is fitted with integrated brackets so that it can also be fixed in place and has the capacity to accommodate the antennae both at the front and the back of the box, meaning you won't be limited to where you can place it for maximum signal strength. 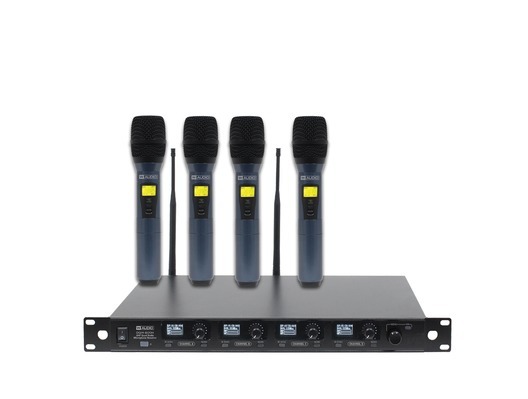 DQM series wireless microphones are quad UHF handheld systems designed for the professional user and utilises a diversity, full width receiver for the ultimate in RF stability. 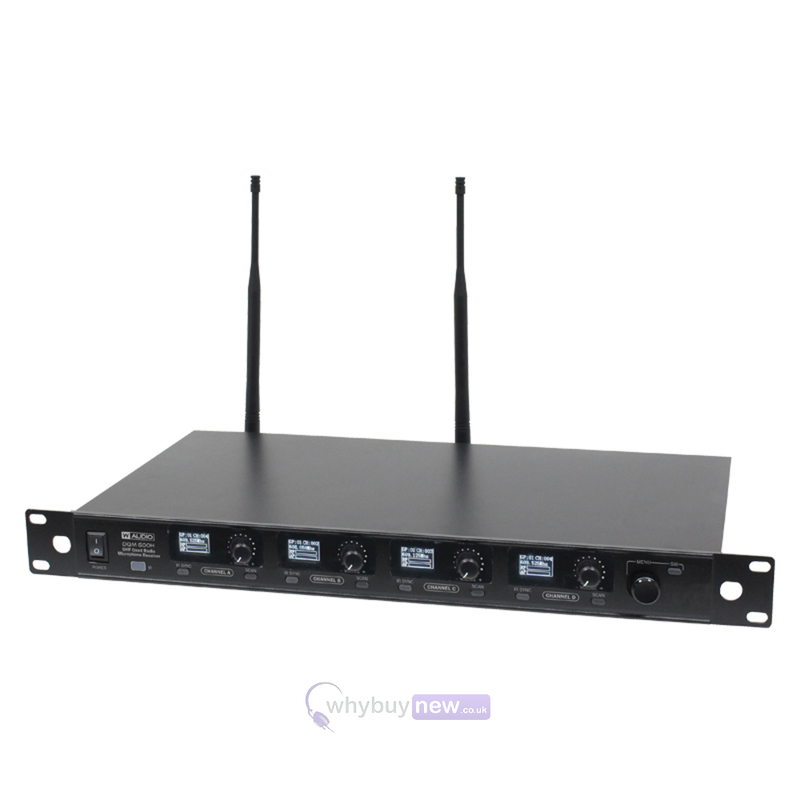 It has a tuning bandwidth up to 8MHz can provide 110 selectable frequencies for the 606-614Mhz CH38 band. 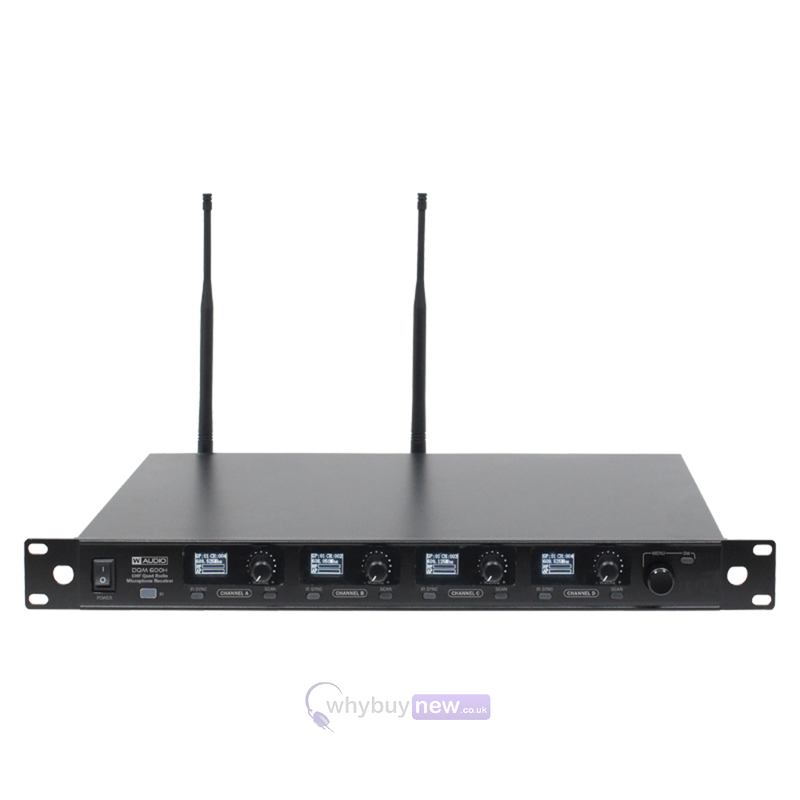 These systems offer crystal clear sound reproduction and rock solid reliability, along with outstanding vocal reproduction and stable wireless connectivity allowing freedom of movement on stage. Handheld transmitters feature ergonomic design with a rugged housing to stand up to the rigours of the road. The flexibility of the handheld systems may be increased by purchasing the additional DQM belt pack kit.